There is no better entertainment during an event than music. From playing the romantic numbers during wedding receptions to setting the mood with all the best dance songs, music can play a vital role. We at Azul Reception Hall have a talented bunch of DJs who are not just passionate about music but also read the crowd’s mood and play accordingly. They can entertain, they can enthrall and they surely can set the mood. 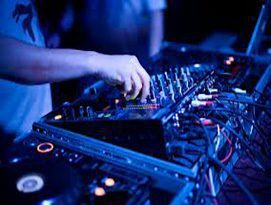 Don’t worry about the monetary part as we can hire professional DJ’s within your budget. We make all arrangements for an eventful DJ night!